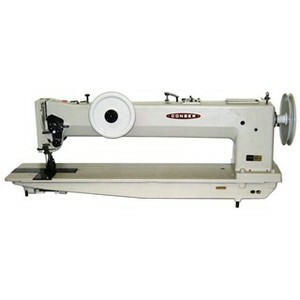 For comparison purposed Sew Pro 745-30 long arm double needle walking foot, jumbo bobbin. 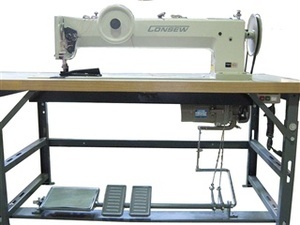 double needle long arm walking foot sewing machine without puller feed. 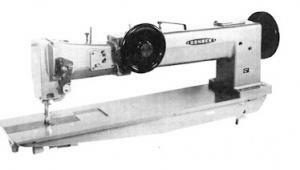 Shows optional air foot lift, auto reverse pedal and needle positioner not included with Consew 745-30P basic mechanical model .